2 heaping Tbs. peanut butter. Yes, peanut butter. 1. In a large soup pot over medium-low heat, melt the butter. Add the leeks and sauté until tender but not browned, 4 minutes. Add the garlic and cook until aromatic, 45 seconds. Add the broccoli and a generous pinch of salt and sauté until bright-green and aromatic, 4 minutes. 2. Add the broth, beans and mustard powder and bring to a boil over medium- high heat. 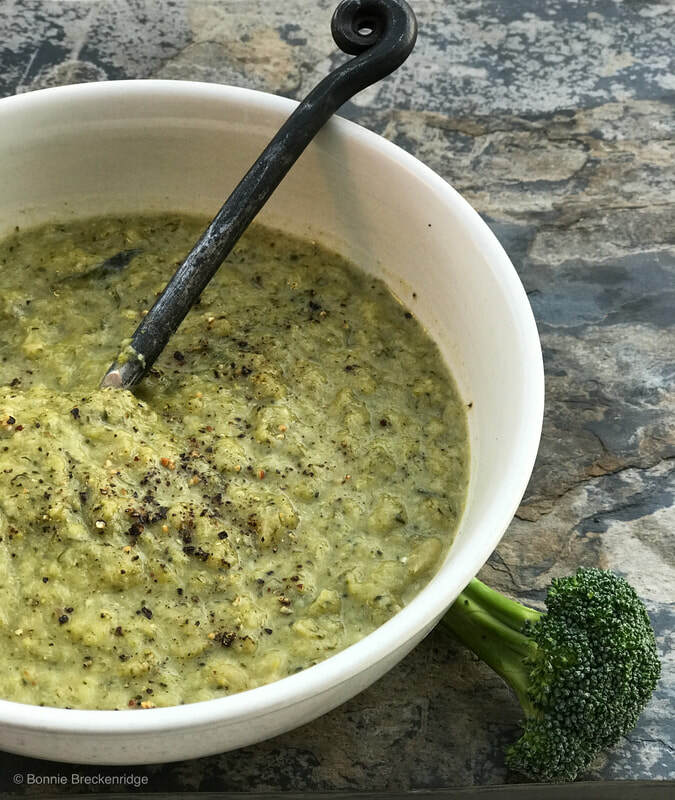 Reduce the heat to low, cover and simmer until the broccoli is fall-apart tender, 20 minutes. Now add the peanut butter. 3. In batches, blend the soup in a blender with the lid slightly ajar, or use an immersion blender to blend the soup in the pot off the heat. The immersion blender is much easier. 4. Return the soup to the pot. Off of the heat, gradually whisk the cheese into the soup and stir until melted. Add the nutmeg and season to taste with salt and pepper. Serve immediately. Serves 4. Make this with a grilled cheese sandwich.